Asian Art Museum of San Francisco, 9780939117444, 127pp. With dozens of stunning ceramic works drawn from the Asian Art Museum's collection and a wealth of historical information, Persian Ceramics provides an introduction to the ceramic art of Persia (modern day Iran), one of the world's greatest and most influential artistic traditions. Surprisingly well-preserved ancient works represent a range of cultures and functions dating from 4000 BCE to 600 BCE. Later the advent of Islam brought colorfully decorated fine ceramics produced in a broad range of styles. The arrival of the fritware technique to Persia by the twelfth century further transformed the ceramic industry, as potters seemed to burst with creativity, and the sky was the limit for their ceramic masterworks. The latest works catalogued include refined ceramics of the seventeenth and eighteenth centuries, many produced for Western markets. The Asian Art Museum's impressive collection of Persian ceramics shines light on the rich visual culture and artistic traditions of Iran. Many objects demonstrate how Persian ceramics were enhanced by trade with East Asia and Europe, as well as Islamic lands such as Iraq, Egypt, and Syria. 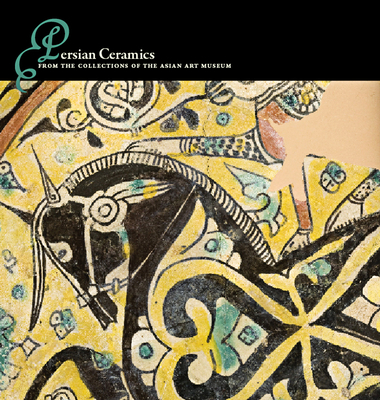 While Iran absorbed many such influences, it retained its distinctive cultural identity, and its unique ceramics tradition is one of the most important in the world. Aimee Froom is a leading authority on Islamic art.